While many students may not think much about the science of poop, poop is actually an interesting compound made up of food waste, bacteria and digestive enzymes. 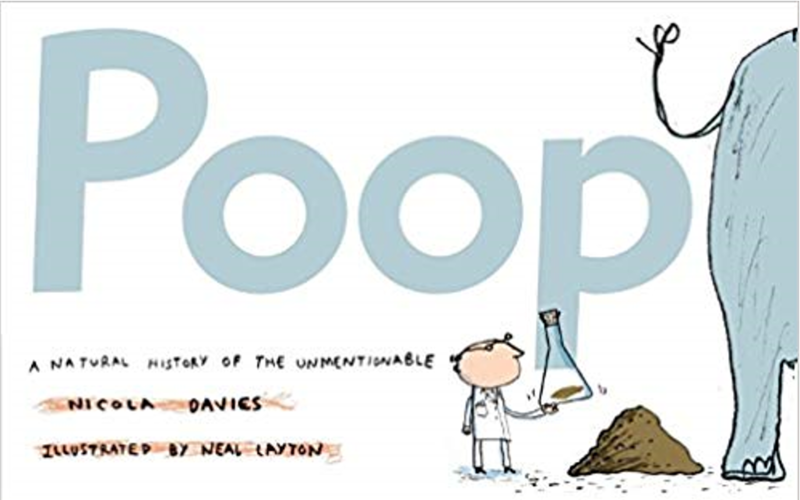 Poop’s composition is based on what the animal that produced it ate. Animals that are carnivores or omnivores have poop that has more nitrogen and odor producing molecules then the poop of herbivores do and because of this it smells a lot more and it is slower to degrade. Because of these facts it does not make a good compost material. Herbivore poop, on the other hand, is comprised of organic materials that break down quickly. It, therefore, makes a great composting material. Students, or classrooms, that are studying ecosystems, biodegradability and/or environment issues, may want to explore the fascinating world of poop. Projects on this subject can range from ways to overcome the obstacles of using carnivore poop for compost to determining which types of plants prefer carnivore poop to herbivore poop. You can also design a project that looks at how much poop is produced in a given area based on the number dogs, cats, birds and humans. As an educator you can introduce interesting topics like the science of poop to your students through easy science fair projects or science experiments. These in-class projects can then be used to inspire award winning science fair projects. This entry was posted in teachers science resources and tagged easy science fair projects, feces, science experiments, science fair projects, science of poop, science project. poop is really cool i am 12 and i wish we could talk about poop in classe more often. did you know poop in french is kaka?? Liam, I knew that kaka had the same meaning as poop but did not know that it was French. This is one of the oddest articles I have ever run across, but it really is a very important topic. There is an awful lot of dog poop in the country and I am not sure that disposing of it with the regular trash is the best way to handle it. Poop can be an uncomfortable subject for many children to talk about. Some think it’s funny, some think that it is gross. However it is very important for them to get educated about it at a young age. I agree poop is a subject that needs more discussion and many students need to be informed about it. There are a lot of waist management issues that students need to know about as where else are they going to learn more about it. Yeh, Gerald, but more fun for kids!